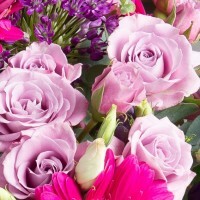 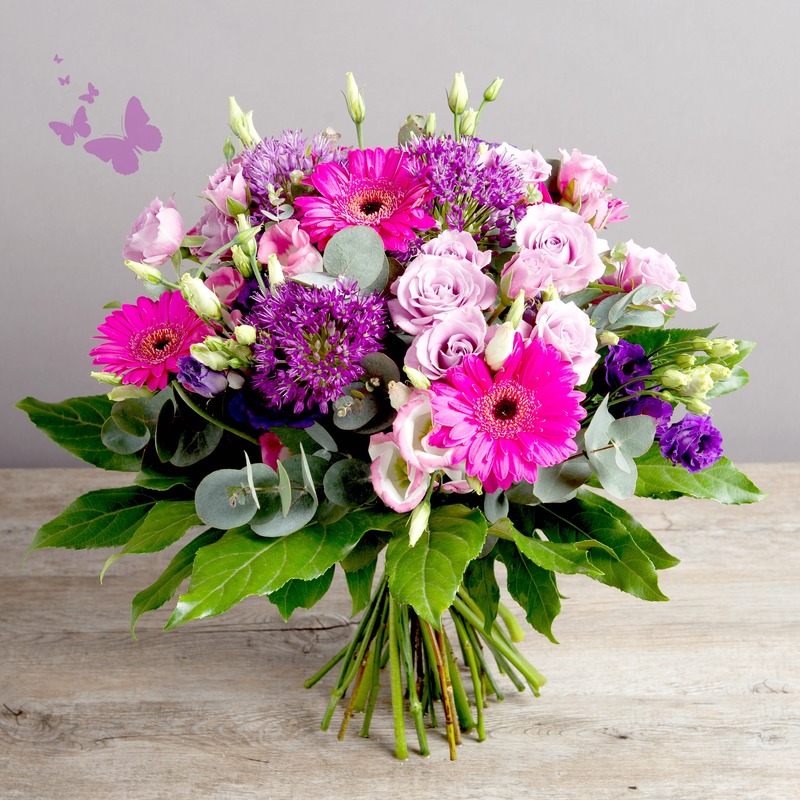 Send a wonderful floral greeting to someone special with this delightful flower bouquet full to the brim of cerise and purple blooms. 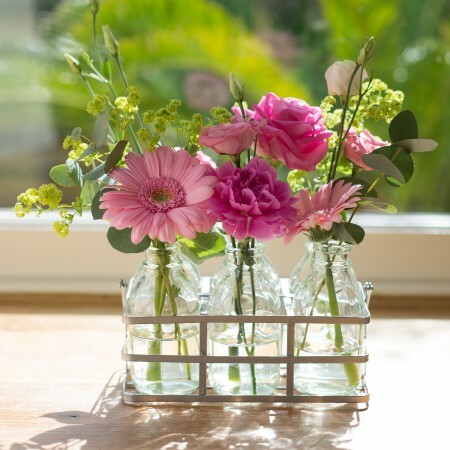 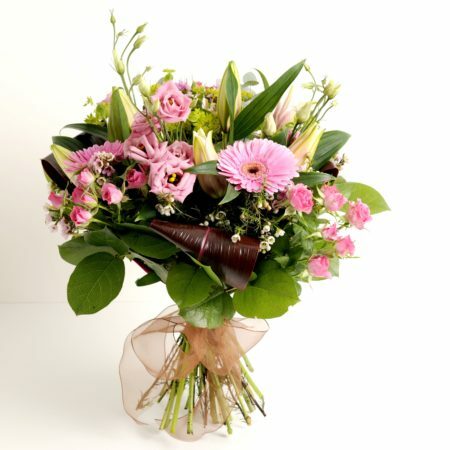 Mini gerbera, spray rose and allium’s paly centre-stage in this wonderful garden style flower bouquet. 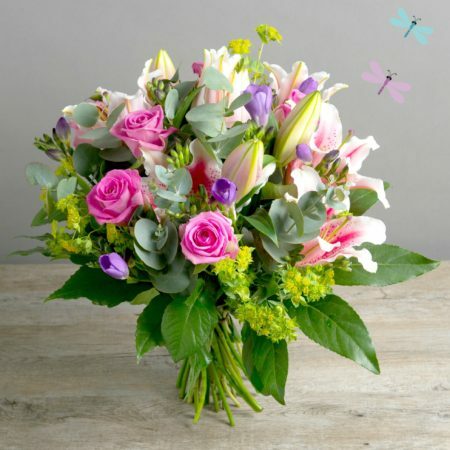 Flower Gift Bundle: Uplifting seasonal flower creations delivered on repeat for up to 6 months for a unique and beautiful present. 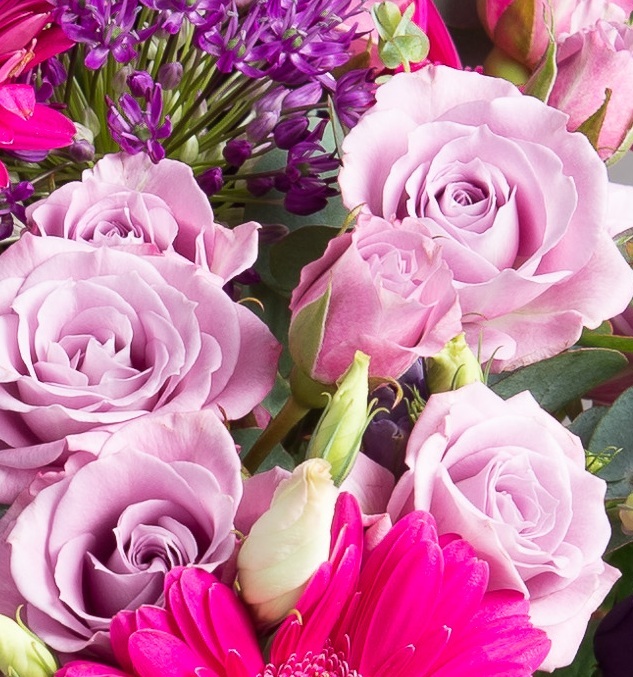 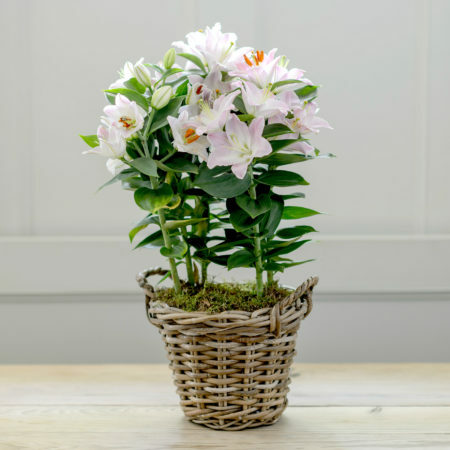 Just add our 1, 3 or 6 monthly bundle for extra flower surprises direct to the door.